I think this is the first time we have listened to Franz Liszt for Music Appreciation Monday. I have picked probably my most favorite piece of his to share with all of you. Make sure to watch here play this and be amazed! If you have more time or are interested in hearing the orchestral version of this piece, here is a link to one that will knock your socks off! 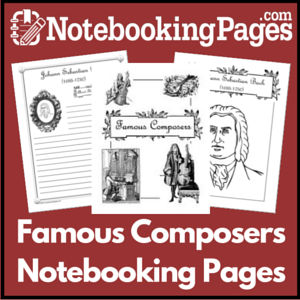 I am sharing this affiliate link with you so you can take a look at the amazing products found over on NotebookingPages.com. Give her free sampler a try and then think about how you can incorporate notebooking into your up-coming school year. Our family used the Lifetime membership every single week to document our individualized learning. 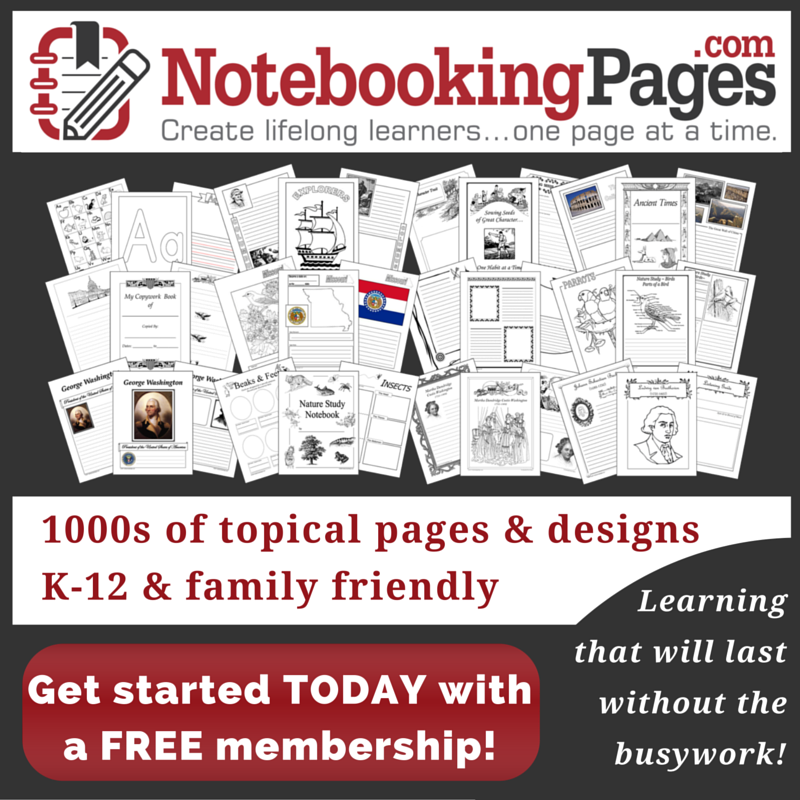 The greatest asset to using notebooking pages in your homeschool is the ability to personalize your child’s learning. They tell you what they learned about a topic which helps you see if they are getting a meaningful education. You can read more about our experience with using NotebookingPages.com here: Notebooking in Your Homeschool.